Friendly host, a wonderful view. A great place for family. 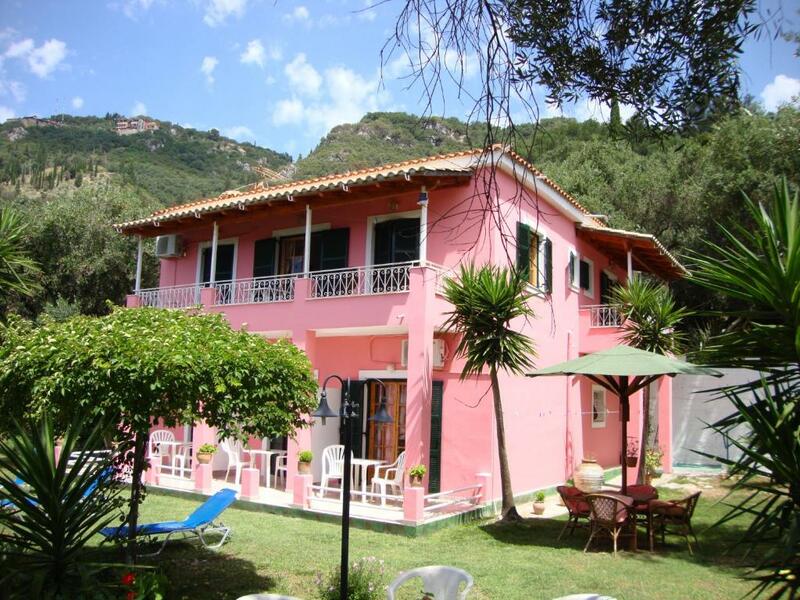 We loved it, Georgias & his son were lovely and very helpful and made us feel very welcome. We will definitely be returning. 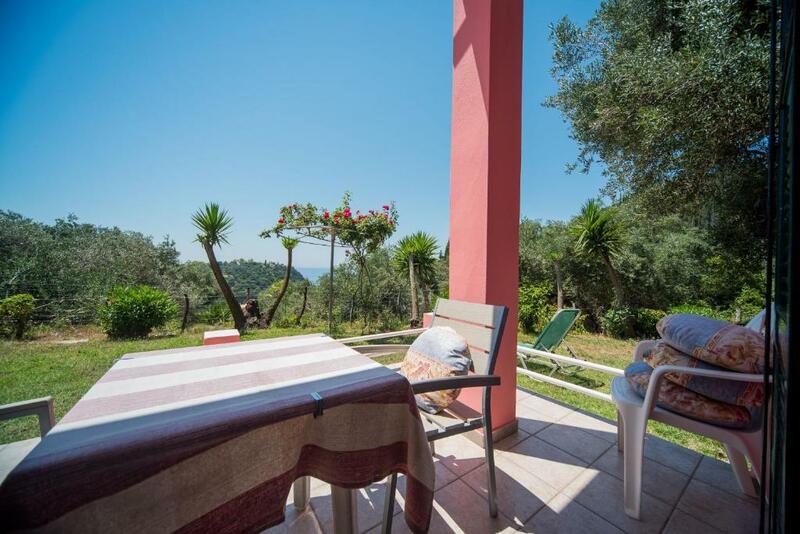 amazing views out to the sea; very comfortable room; large garden area to relax in. The host was great and made the stay really great. The location is tranquil. The owners were friendly. Obliging and very helpful. Our hosts were extremely helpful and always on hand to answer or help us with any questions we had. It was very peaceful and quiet which we really enjoyed. We had a lovely stay, the location is beautiful and relaxing, in the middle of very old olive trees with a view of the sea and the sound of the monastery bells every morning. The hosts are brilliant, friendly, warm and welcoming, sharing all their knowledge of the area. They went above and beyond what we had paid for which was great, highly recommended! Absolutely beautiful views around the garden. I loved laying in the hammock admiring the scenery! Room was spacious and comfortable. The staff were so helpful and friendly - gave us a lift to the apartments, offered really great tips for walks/places to visit. The walk up does get a little steep but we liked this, and is only a five min walk! Very peaceful place with nice view and hammock and garden to relax in evening hours. Friendly staff, good beds, clean and comfortable. Lock in a great price for Ipsia Apartments – rated 9.3 by recent guests! 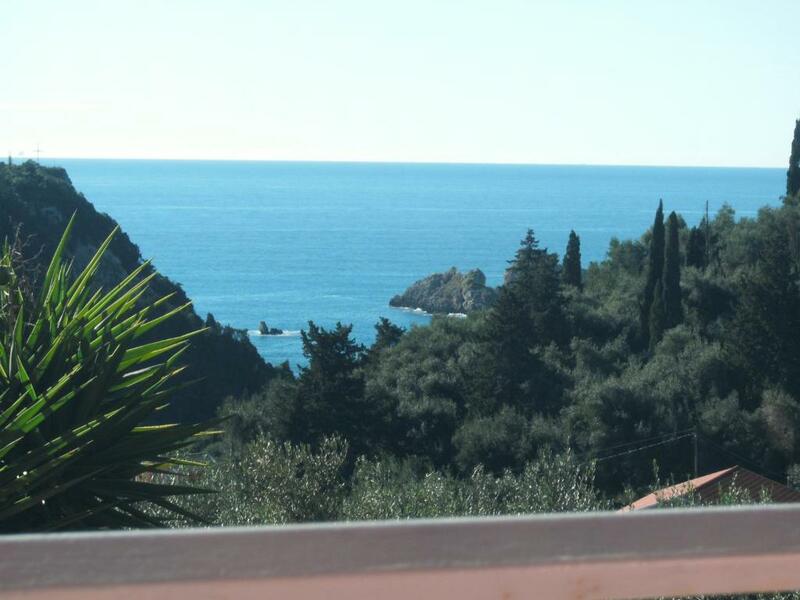 One of our top picks in Paleokastritsa.Surrounded by lush greenery, the self-catering Ipsia Apartments offer warm hospitality, sea views and absolute tranquility in Paleokastritsa, one of the most beautiful corners of Corfu. At Ipsia Apartments you can enjoy perfect peace and relaxation, even though the center of Paleokastritsa and its popular beaches are only a short walk away. 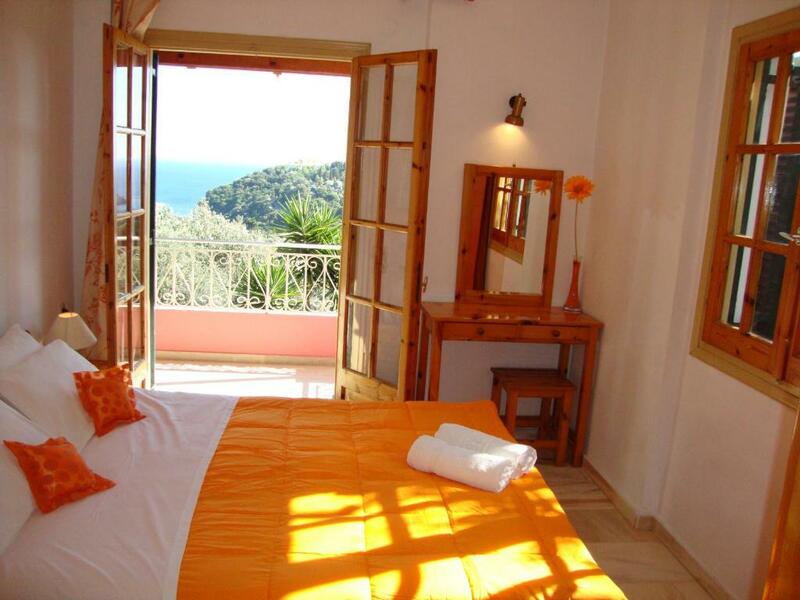 Soak up the sun at your favorite spot in the garden or enjoy the views from your balcony or veranda. 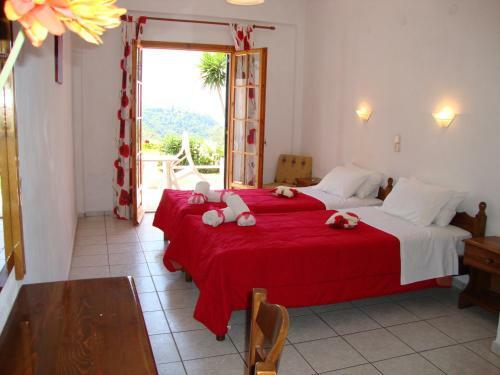 The house consists of first-floor studios and second-floor apartments, both with self-catering facilities. Bed linens and towels are, of course, provided free of charge. 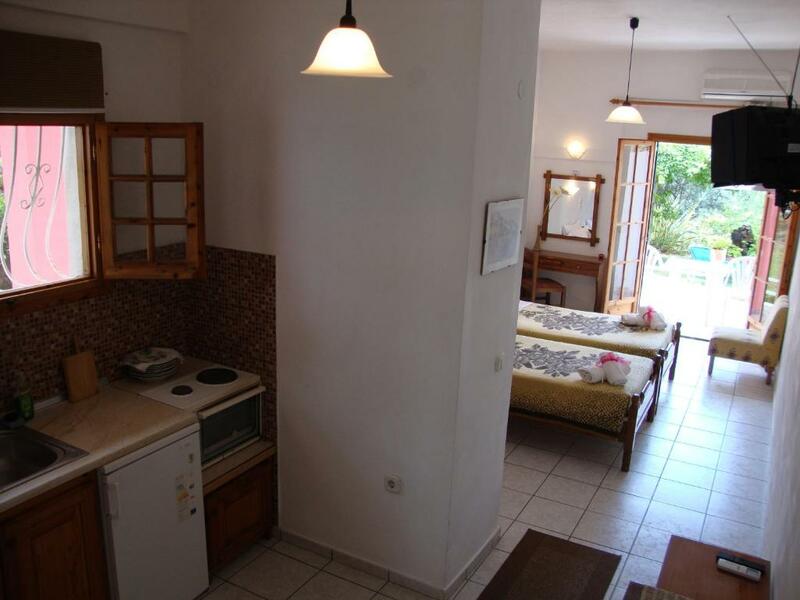 The apartments have spacious living areas and each bedroom comes with private bathrooms. The slow pace of life will quickly make you feel like you belong here. Walk to town, buy some fresh, local produce and enjoy your meal outdoors, in true Greek style. Or meet other guests over a barbecue as the sun goes down. 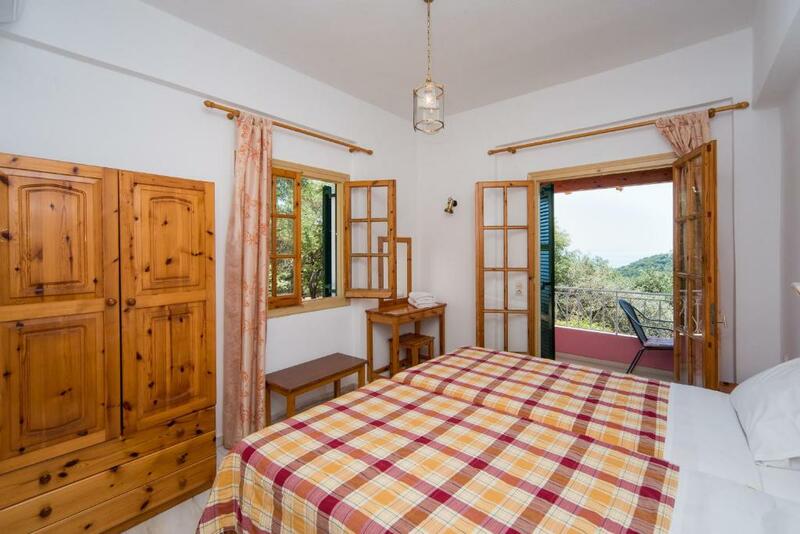 And if Paleokastritsa's picturesque bays, sandy beaches, seaside tavernas and bars are not enough, the magnificent historic town of Corfu, a UNESCO World Heritage Site, is less than 15.5 miles away. 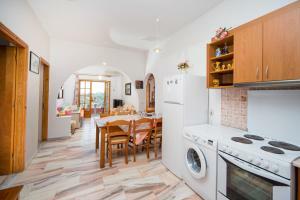 뀐 Located in the top-rated area in Paleokastritsa, this property has an excellent location score of 9.2! When would you like to stay at Ipsia Apartments? A spacious second floor apartment with 4 bedrooms (with own bathroom). This apartment features a balcony, kitchen and air conditioning. This studio has a balcony, sea view and air conditioning. House Rules Ipsia Apartments takes special requests – add in the next step! Other Ipsia Apartments accepts these cards and reserves the right to temporarily hold an amount prior to arrival. Ipsia Apartments accepts these cards and reserves the right to temporarily hold an amount prior to arrival. Very nice comfortable place with picturesque garden and view. The staff is very friendly and willing to help you with everything you might need. Maybe having he shower head attached to the wall would have improved it but this is minor. The view is because it’s up quite a steep hill. If you don’t have a car, it’s a bit of a hike. But the owner is kind enough to pick you up from down the hill with your luggage/groceries at all times.